“If you are lucky enough to have lived in Paris as a young man, then wherever you go for the rest of your life it stays with you, for Paris is a moveable feast.” – Ernest Hemingway. Patrick Beretta savors that moveable feast. Born in Paris, he spent much of his youth there. But Monday, as Notre Dame burned, it meant that he was doubly desolated — the cathedral is at the center of both his roots and his faith. 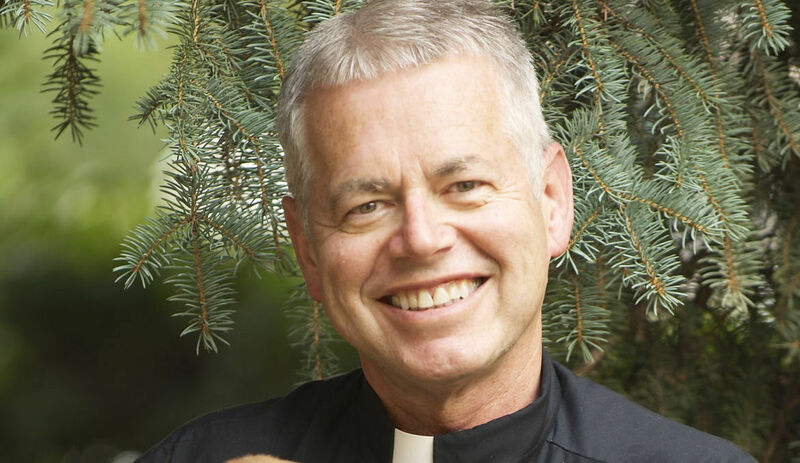 In an interview Monday, the Butte parish priest spoke wistfully of the many Masses he has attended at Notre Dame, and the joy he felt as a boy, visiting the great cathedral with his father. Beretta said that the church has been not only a symbol of Catholicism, but also of beauty itself. Beretta remembered his high school photography class. “We were to study a Paris landmark through photography,” he said. His assignment was Notre Dame. When he visited with his father, they ascended one of the towers, and he remembered being able to see all of Paris. He also vividly remembers the gargoyles. Now, he said, the religious loss is acute. He said that when friends visited, they often wanted to go to Mass in the cathedral, just to experience the service in such a setting, and they would invariably be awed by feelings of peace and beauty. “It is a comfort to know that some things survive over so many extremely difficult and dark centuries,” Beretta said.